If you have swollen gums, you probably have a gum infection. This is by far the most common cause of gum swellings. But it's important to realize that you don't "catch" a gum infection. You can't get it from drinking out of someone elses cup, or by kissing. Diseases that are transmitted in that way do not normally result in a gum swelling, or else are very rare. Swollen gums caused by a gum infection are triggered by an overgrowth of the bacteria living in the bacterial plaque between your teeth and just under the gum edges. How do these bacteria grow out of control? These are bacteria that live in everyone's mouths. The problem starts when the bacterial plaque (dental plaque) is allowed to build up. THIS HAPPENS WHEN YOU HAVE NOT REMOVED THE PLAQUE FROM YOUR TEETH ENOUGH. ie. You are not brushing and flossing enough to REMOVE the plaque that has collected between your teeth and under the gum edges. THE BIGGEST PROBLEM I SEE is that patients tell me they brush their teeth 4 times a day, but that their gums bleed and are swollen or sore. They think they have some sort of gum infection that they have caught from someone else. BUT what is actually happening here is that they are only brushing their teeth for 30 to 45 seconds each time, or less. Unfortunately, this is WAY TOO SHORT a time for any brush (even ultrasonic) to get all the plaque off the teeth. Just try timing yourself next time you brush. IT HAS TO BE 2 MINUTES PER QUARTER of your mouth. That's right, EIGHT (8) minutes for all your teeth! And if your gums bleed, don't stop. Carry on, GENTLY massaging the gum edges of EVERY tooth, inside and out! Do not scrub hard. Go slowly and gently FOR LONGER. It's that simple. If you brush your teeth for this extended period, then you really only need to brush your teeth like this once a day. You can brush for a shorter period of time the other times each day. If you have swollen gums, there will be one of THREE possible appearances. You will need to look very carefully. Open your mouth halfway, let your cheek relax, close your mouth a tiny bit, and pull your cheek to the side slightly with one finger. You will probably see one of 3 things. Your gums are swollen generally at the front of your mouth, especially the lower front teeth.There may be small, slightly grey, "punched out" areas between the front teeth. If you look very carefully, you will see a thin line of white plaque at the gum edges. OR, your gum might be swollen at the very back of your mouth, around the last tooth, making it difficult to close your teeth. This likely to be a wisdom tooth. The swollen gum is limited to just this one area of your mouth. Or your gum is swollen in ONE area only, say between your upper front teeth. 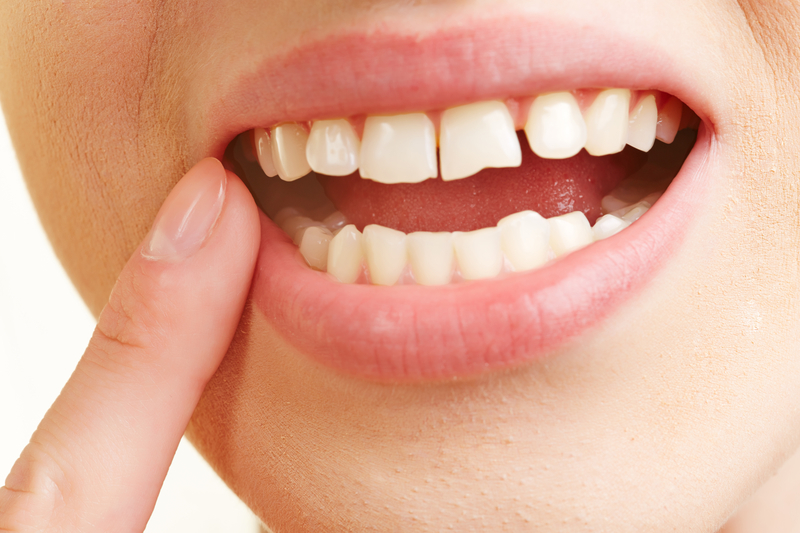 If you look closely, you might be able to see if it is swollen very close to the gum edge where the gum meets the tooth, OR if it is swollen away from the gum edge, more over where the roots of the tooth would be. The gum does not bleed. Next, you should see if your gums bleed when you gently brush your teeth. Finally, ask yourself - do you use dental floss at all? Like more than twice a week? The answers to these questions will let you make an educated guess as to the cause of your swollen gums, and what you can do about it. Like I said at the top of this page, pretty much ALL cases of swollen gums will be caused by dental plaque collecting at the gum edges. If your gums bleed when you use a toothbrush, and you don't ever floss your teeth, this is probably what's happened. The cure for this is to get the plaque bacteria off your teeth! It's that simple. Just get rid of the plaque bacteria and things will settle down. But that's easier said then done. What can you do? First, you need a top-quality mouthwash. You can rinse this around your mouth AND dip your toothbrush head in the mouthwash too! A great product is the TheraBreath Perio Therapy Oral Rinse. I like TheraBreath products. Have a look at the TheraBreath Oral Rinse on Amazon. TheraBreath products are normally aimed at curing bad breath, BUT the oxygen levels in the mouthwash is great for ALL general gum infections! Normally, I don't like mouthwashes because most of them don't do much, and they make people think they can brush less and floss less because they are using some fancy-pants mouthwash. BUT this is a special case. This only works with TheraBreath Oral Rinse. AND you are only going to use it for 14 days. That's right, only FOURTEEN days! Why so short? Because 14 days is more than enough time for the mouthwash to do it's job. The TheraBreath mouthwash will kill the bacteria causing the gum infection, and allow your swollen gums to heal up and shrink back to their normal size. But that's when the real work starts, if you want to prevent getting swollen gums again! Now you have to change the way you brush your teeth. The old way obviously wasn't good enough, or else you wouldn't have got the problem in the first place. 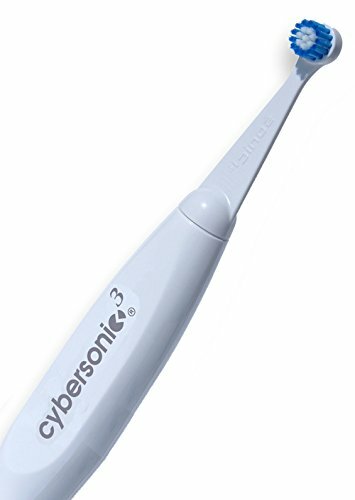 If you live outside the U.S.A., then I recommend either the Oral B Sonic toothbrush, (also called the Pulsonic), OR, if money's no object, the top-of-the-line brush from Sonicare, the DiamondClean. You can read a review of these three brushes at my Best electric toothbrush review page. Next, you have to use the brush correctly! I have written precise instructions on what to do at How to cure gum disease. Follow those instructions to the letter! I also explain how to floss between your teeth correctly. If you use the TheraBreath mouthwash and change your brush (and how you use it), your swollen gums should shrink back down to their normal size and stay that way. But I recommend getting a dentist to check your gums - you may also have a build-up of hard tartar on your teeth that a dental hygienist can gently remove for you. She can also check your toothbrushing, and show you where you might still be missing with the brush! It's also important to use a good toothpaste that will help with gum problems. After the initial treatment as described above, I recommend switching to an aloe vera based toothgel for long-term use. You can read more about this, and place your order directly online HERE. The next type of gum swelling is where you get a small, well-defined lump at the gum edge where it meets the tooth, or very close to it. This is usually caused by a gum infection under the gum, and it's a type of abscess. For this, you should go along to a dentists' office. He will take an X-ray to confirm what's happening, and probably give you some tooth abscess antibiotics to settle the gum infection down. Then you will need to see the dental hygienist to get your gum checked and measured. If the tooth next to the swollen gum is very loose, you may need to have it removed. 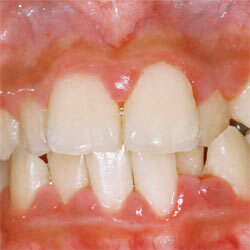 It's also possible that your swollen gums are caused by a gum infection coming from a dead tooth. If this is the case, you will either need a root canal procedure or get the tooth pulled. The final cause of swollen gums is where the swelling is at the very back of your mouth, behind the last tooth. It can be difficult to close your teeth together. This is probably down to wisdom teeth infection, a particular type of gum infection that occurs around a wisdom tooth. Again, there's not much you can do at home about this, you really need to see a dentist. This situation also usually requires antibiotics at first, followed by a careful assessment of whether the gum infection is likely to come back again or not. If the tooth is tilted (or "impacted"), you may need to have it removed. Hormonal changes, either during puberty, the female monthly cycle, or as part of aging. Mouth ulcers. If you get a mouthful of ulcers come up, your gums may become swollen and bleed easily. This will settle down when the ulcers heal up. Vitamin deficiency, in particular vitamin C. This is unusual these days, BUT can occur. An allergic reaction, for example to a toothpaste or a food. A dental filling that has become dislodged, and wedged between2 teeth. Some mouth infections such as herpes or thrush can cause a gum swelling. These are the most common causes of swollen gums that I see in my office. All these are due to a gum infection of one sort or another, but the source of the infection is different in each case, and so needs different treatment.